« Older: Coral Reef Ed-ventures’ summer camp is back! 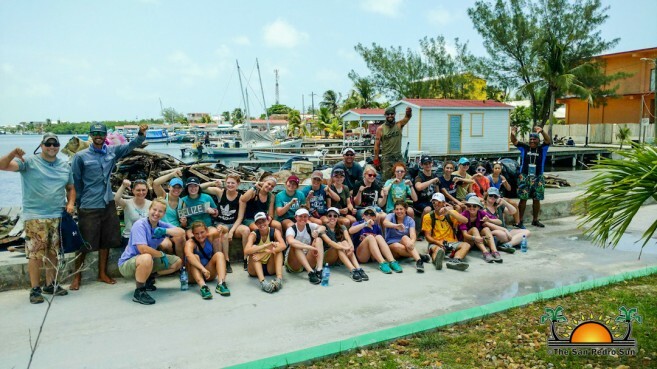 A group of students from Helias High School in Jefferson City, Missouri, USA participated in a coastal clean-up in San Pedro Town on Wednesday, June 6th. The initiative was part of their studies community outreach while in Belize. They were joined by members of the community and representatives from Belize Forestry Department. At 8AM participants separated into groups to tackle different areas of the island. Some headed to the north to clean the beach side, while others decided to tackle the lagoon. After each team had filled their boats, they headed to the Sunset Boardwalk dock to drop off the garbage. Collected were Styrofoam products, barrels, plastic bottles and bags, broken chairs, rusty irons, tires, pipes, wood and others items that are harmful for the environment. 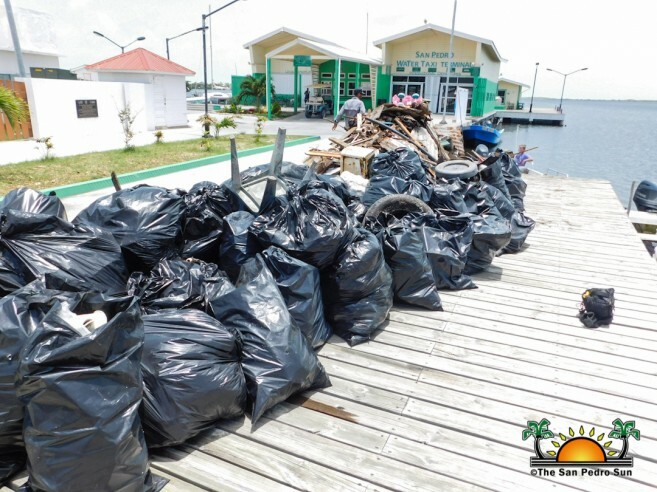 By midday, the teams had dropped off quite a large amount of garbage removed from the seashores and mangrove roots of the lagoon. Organizer Chris Summers, of American Crocodile Sanctuary Education (ACES), was impressed with the hard work and dedication of the students. “The high school students worked very hard and pulled tons of trash out of the mangrove and off the shore. We were very impressed with their effort and eternally grateful for them volunteering their time for our beautiful island,” said Summers. The San Pedro Sun also managed to speak to one of the students. “We are very happy to participate in this clean-up and continue to raise the issues of conservation and keeping the environment clean,” said the participant. Special thanks goes out to ACES, Passion Kite Belize and Ambergris Divers for lending their boats and making the clean-up possible!